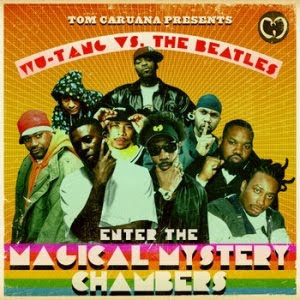 An interesting new record's just in; I'm a massive fan of both The Beatles and Wu-Tang Clan (never thought I'd link the two in the same sentence) so I can't wait to hear Enter the Magical Mystery Chambers. The album consists of Wu-Tang lyrics over Beatles music, mixed with vocals from both bands and a whole lot of sampling. I'm always dubious of mash-up albums but a hip-hop Beatles record sounds promising. Could either be sacrilegious or spectacular, or both... I'm halfway through it now and so far, so good.